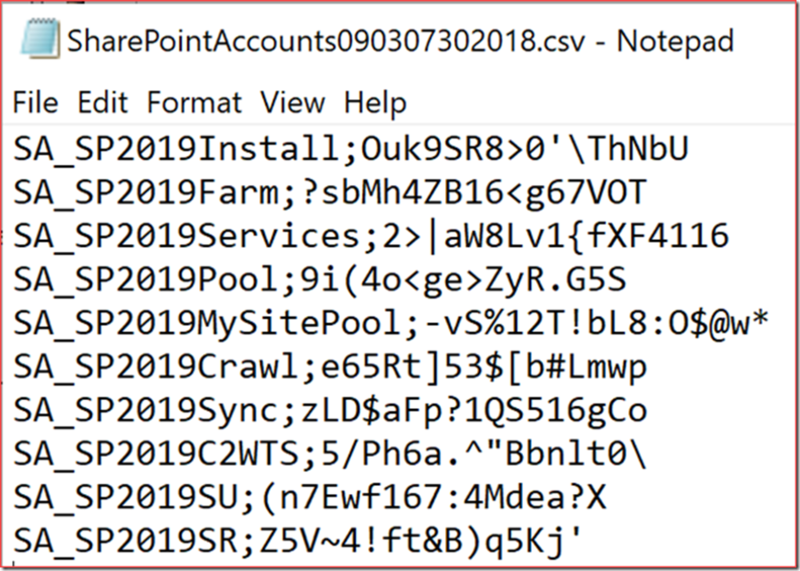 There are a few of these scripts around to create SharePoint service accounts with PowerShell but I decided to create a new one as SharePoint 2019 is coming with a bit more functionality and error handling. The general recommendation in this blog is to use different service accounts for each environment which can be easily done with this script. 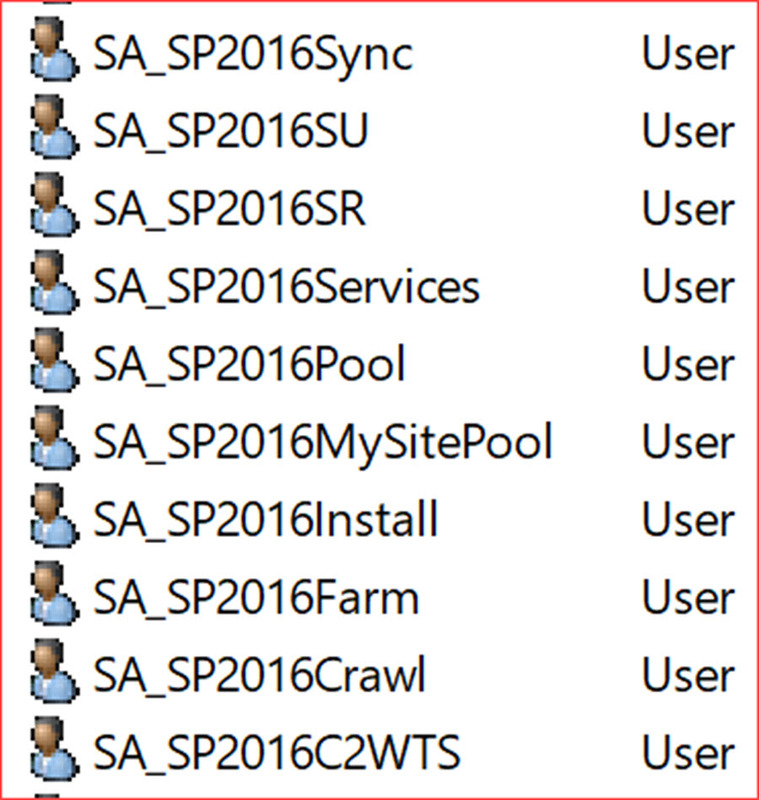 The script needs the activedirectory module to function correctly. 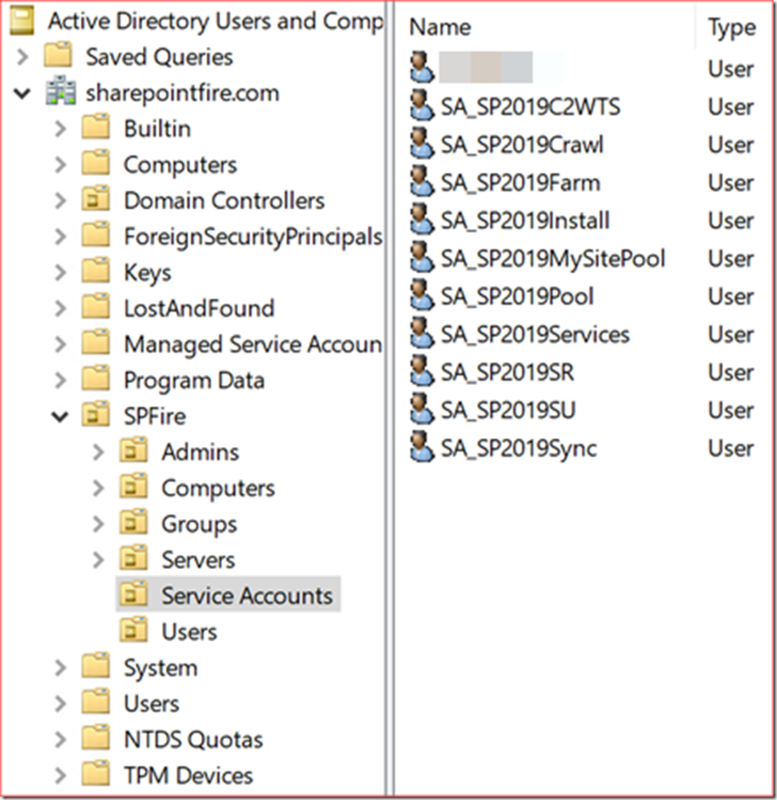 Please install the Active Directory management tools to be able to use this module. I recommend running this script on the domain controller or a management server with sufficient permissions. 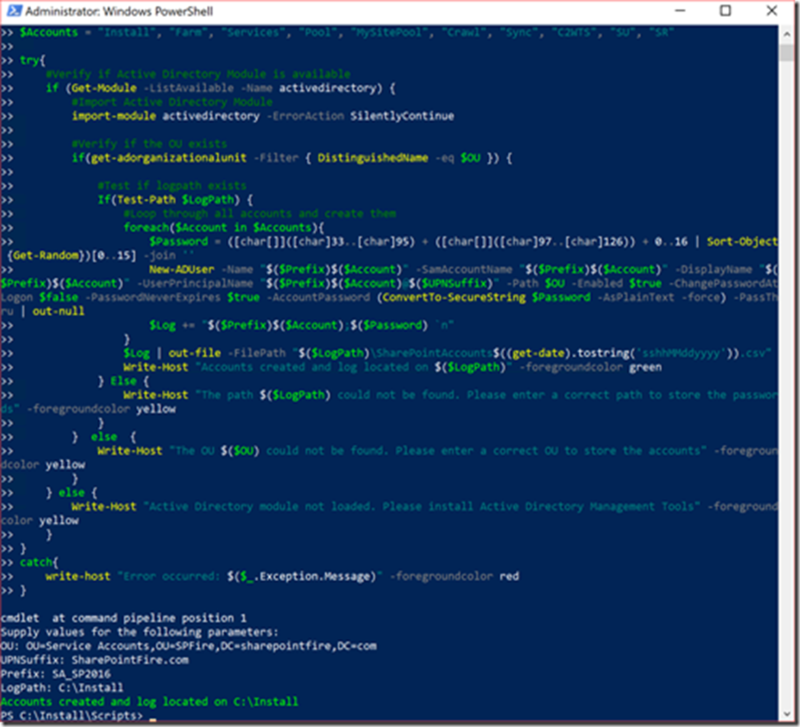 The script has been uploaded to the PowerShell Gallery. Press Y if you want to add the default imported scripts location to the PATH environment variable. Press Y to install and import the NuGet provider now as this is a “clean” server installation. Press Y to install the scripts from the PSGallery and the script will be saved on the default location C:\Program Files\WindowsPowerShell\Scripts. I always recommend first reading through the .ps1 file if you haven’t already read it at the PowerShell Gallery page. 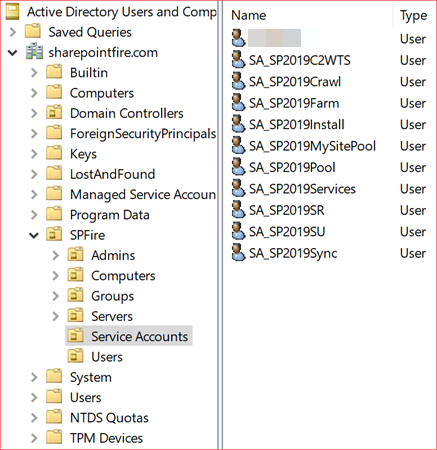 Add-ServiceAccounts -OU "OU=Service Accounts,OU=SPFire,DC=sharepointfire,DC=com" -UPNSuffix "SharePointFire.com" -Prefix "SA_SP2019" -LogPath "C:\Install"
You can also verify the log file and add the passwords to your password database. 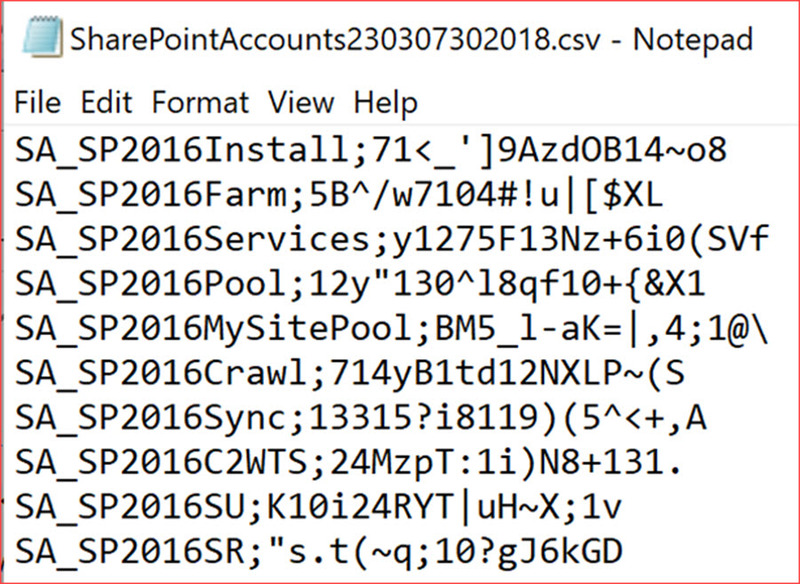 The other option is to just copy and paste the below code in PowerShell as administrator. 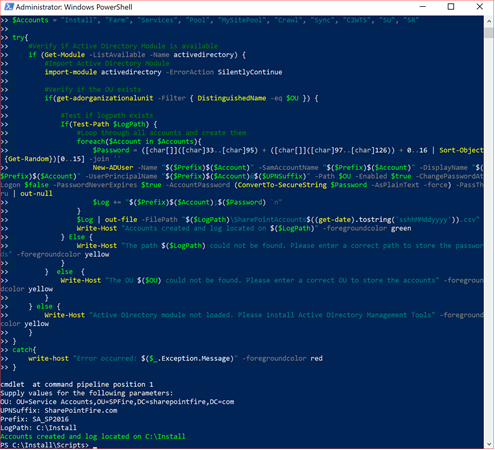 Please note that the below script may not be the latest version as the PowerShell Gallery script will always be more updated! You can add additional users easier this way by simply updating the $Accounts variable with more users. 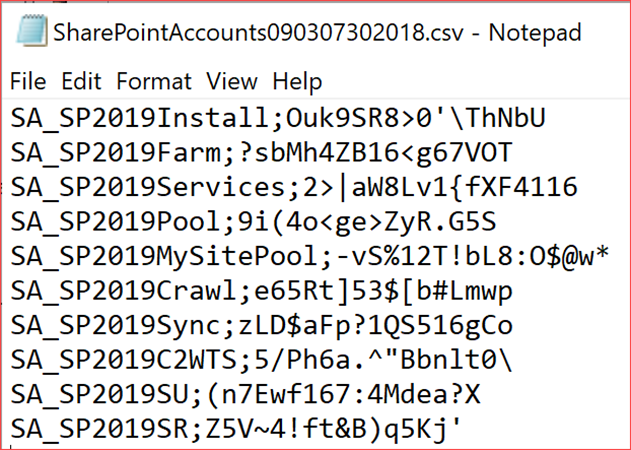 $Accounts = "Install", "Farm", "Services", "Pool", "MySitePool", "Crawl", "Sync", "C2WTS", "SU", "SR"
$Log | out-file -FilePath "$($LogPath)\SharePointAccounts$((get-date).tostring('sshhMMddyyyy')).csv"
You will need to enter the parameters used for this script.